The EVG520HE Semi-automated Hot Embossing System by EV Group has been specifically designed for a wide range of embossing and nanoimprinting applications. With the ability to accept substrates of up to 200 mm, the EVG520HE is compatible with most standard semiconductor manufacturing technologies. 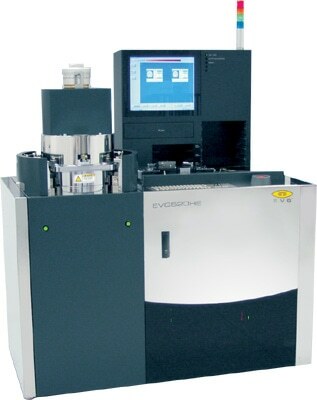 The EVG520HE has been configured with a universal embossing chamber, as well as high-vacuum, high temperature and high-contact force capabilities. As a result, this hot embossing system has been shown to manage a full range of polymers and glasses that are often required for hot embossing purposes. The EVG520He also offers users various high-aspect ratio embossing and de-embossing options, as well as processes that are capable of performing high quality pattern transfer at nm resolution.